The days leading up to biggest Chinese holiday are palpable with excitement. Traditionally, Chinese New Year is marked with feasts, new clothes, red envelopes, performances, games, and lighting firecrackers late into the night. The two-week long celebration is the time to visit loved ones, welcome the spring, and wish for luck and prosperity in the New Year. Traditions change over time and even more so outside of the native country. As an American, I can learn about Chinese New Year traditions, but it's impossible to truly experience it as my ancestors did. My parents told me bits and pieces throughout the years, but it wasn't until recently that I finally asked them to talk about it at length. Some material aspects of the holiday, such as food, decorations, and performances, can be recreated anywhere. However, the spirit of the celebration is so different for my parents and me that we may as well be talking about different holidays. Growing up in Taiwan in the 1950s-60s, my parents had similar experiences. On my father's side, the immediate family gathered together on New Year's Eve for a big feast. Most of his extended family remained in mainland China. Sometimes workers of the family-owned factory were invited if they were unable to return to their own families. They helped with cooking and cleaning. My mother's family followed the tradition of the daughter-in-law (my grandmother) going to the husband's family house. By herself, my grandmother prepared enough food to feed the extended family. Many families had ancestral vigils in the house and the food was offered to the ancestors before being consumed by the living. In Chinese culture, food is much more than just sustenance. Different ingredients and flavors determine which region the dish was created in and for what occasion. In my parents' youth, chicken was reserved for special occasions while the most commonly eaten meat was pork, which was often served with the skin and fat. When food is limited, no part goes to waste. Many dishes have special meaning for the New Year. The Mandarin word for "fish" is "yú" (魚), which is homophonous with "yú" (餘), which means "surplus." Fish was eaten in hopes of bringing abundance to the New Year. Other dishes are turnip (chhài-thǎu, 菜頭, in Taiwanese it is synonymous with "good luck/good sign"), mustard green (stands for "longevity") and it should not be cut into pieces or it would reduce the years in one's life, and New Year cake (niángāo, 年糕). Gāo means "cake," which is synonymous with "high," so people hope for promotions, growth spurts for children, and high grades in the upcoming year. Other dishes at my parents' tables included duck, vegetables, and fruit. The color red was everywhere. People often wore their nicest red clothes. Red lanterns were hung along the streets. Married couples handed out red envelopes with money to children and single adults. According to my parents, as long as you remained single, you would be on the receiving end of the envelopes. Other families may have put an age limit on this tradition. Many Chinese like to gamble and for New Years, the children sometimes joined in on the fun with their new money from the red envelopes. Mahjong is a four-player tile game that my sister and I learned from my parents, but they omitted teaching us how to calculate the winnings. My parents also played cards and a three dice game called Zhì shǎizi (掷骰子, "toss the dice") where different combinations earned different amounts. My mother's family played games until about midnight, lit firecrackers, and went home after my grandmother finished cleaning. My father's family gambled all night long since it was difficult to sleep anyway with the firecrackers going off. In those times, kids were able to purchase firecrackers and sometimes threw them at opposing kid gangs, occasionally burning holes in their brand new clothes. My father remembers the little ones that pop when you throw them to the ground, dynamite, and small rockets – most, if not all, must be banned by now. During Chinese New Year, the cinemas played the best movies and jacked-up the prices. There was not much other entertainment in those days and sometimes people waited a day for the next available showing. At this point of the conversation, I asked my parents if they watched any lion or dragon dances since they were so prominent in my own Chinese New Year memories. They weren't usually performed around the residential areas, but they could be seen near temples. In the two-week period of celebrating the holiday, there is a specific order in which you visit relatives and friends. For many, it's the only family reunion of the year. My father noted that the children had the opportunity to collect more red envelopes at each stop. My mother's family had the rare luxury of owning a car, which allowed them to travel easily. She recalled a trip when the family crammed the five children, two parents, and her paternal grandmother into a Volkswagen beetle for vacation. My grandparents on both sides were entrepreneurs and worked very hard all year round and on the weekends. Chinese New Year was one of the rare times they were allowed to relax, as much as was allowed given the craziness of the holiday. The fifteenth and last day of the Chinese New Year celebrations is known as the Lantern Festival. My parents remember going around town and solving riddles written on red lanterns (cāidēngmí, 猜燈謎, "guess the lantern riddle") and eating glutinous rice balls called tāngyuán (湯圓). My father recalls not liking the typical red and white Taiwanese version because it had no filling. In his teenage years, acquaintances from the mainland introduced him to rice balls with sesame and peanut filling and he thought, "Whoa, this is great!" Chinese New Year was and is very different for me. It was one of the few times when I felt more Chinese than American. I didn't hide or deny my ancestral origins, but simply celebrated it with my Chinese friends. There is no two-week vacation and we went to school if it fell on a weekday. I don't recall my elementary or middle schools acknowledging it, although nowadays some schools have Chinese food, decorations, and performances. My town had a large enough Chinese population to form the Andover Chinese Cultural Exchange (ACCE). I remember our family attending New Year's dinners hosted by ACCE at a local Chinese restaurant. As a child, I took Chinese dance lessons and we, along with other acts, performed at these parties. There were usually musicians playing Chinese instruments, singing, and lion dance. After I joined YMAA Andover in high school, I performed with the demonstration team one year. In Chinese culture, longevity is highly respected and an elderly person handed out red envelopes to children. Amazingly, I found a few dollar coins and two dollar bills that I kept from all those years ago. My other faded memories of Chinese New Year include going over to other Chinese-American family friends' houses and eating a lot of delicious food, but I didn't understand the meaning of the dishes until I started researching for this article. My relatives are spread out in different areas so our celebrations were with friends and the local Chinese community. In recent years, my Chinese New Years have been marked by having up to five demos to perform within three weeks. As a coach for the YMAA Andover demo team, I organized demos for various organizations and we made more connections throughout the years. I would load the minivan with students, weapons, a lion, huge drum, and drive us from demo to demo. I came in full circle when we started performing for ACCE in 2011. I fulfilled my childhood dream of performing the lion head. Being a small person and having a strong tail meant we were able to do a lot of lifts. 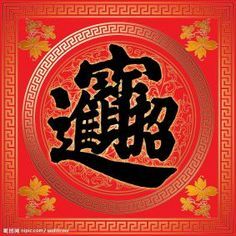 February 19, 2015 is the beginning of the Year of the Goat or Sheep, the character "yáng" (羊) translates into both animals. Like my parents, I read the horoscopes for fun, but forget about them a few minutes later. It usually gives good fortunes to everyone no matter what year you are born in. Although the traditions have faded with my generation, I can hang onto the aspects that are important to me: family and community, food, teaching martial arts and lion dance to a new generation, and wishing luck and prosperity for everyone. *Lion dance photo by Chi-Sun Chan Photography.